If you’re looking for conscious gifts for kids, this listable features a range of kid’s stores with gifts that tick all the options (either environmentally friendly, ethically sourced and toxin free or all three!). 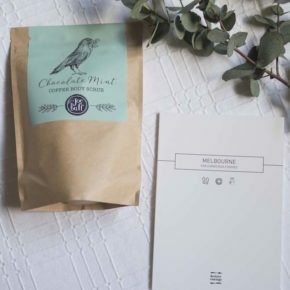 Little Earth Nest’s bricks and mortar store is based in Geelong but they have an excellent online store. They are very passionate about providing eco options for their clients which they offer in a number of categories: eco baby, eco toys (incredible range – I love the Melody Mix Music Station! ), as well as eco living options for your child and home. Biome is an award-winning certified BCorp , and Australia’s only palm oil free and cruelty free store. They specialise in products that are zero waste, toxin free and ethical. 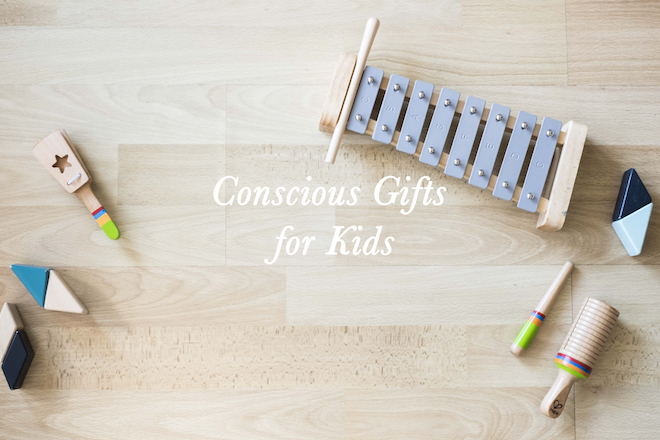 Their conscious gifts for kids start from just $2.50, and cover everything from non-toxic crayons, to educational books, divine wooden toys by Finska, compostable toys and more. Slow Threads stocks beautiful clothes, decor and toys for children. Their ranges are sustainable and ethical. I love their Kids Seed Kit by The Little Veggie Patch Co., and any of the beautiful wooden and enamel kitchen toys. I love this idea, a worry puppy that’s been designed to comfort and ease children’s worries. Available in three designs, children can talk to Little Wuppy, hold it, pop it in their pocket or bag, place it under their pillow, or anywhere when they’re feeling anxious. A Little Good have a great website that clearly categorises their extensive collection of fair trade and ethically made toys. You can search by age (newborn to three and up), types of toys (wooden or soft & cuddly), and more. Their toys are made by producers and artisans (almost all women) in some of the world’s poorest countries. Big Dreams Children’s Emporium stocks a large range of eco-friendly children’s toys. From chew bracelets for teething bubs, to the Gruffalo Alphabet for children three and up, the toys are sustainable and some of the brands even donate funds back to charities. The age range starts from children under one year, up to the seven to nine age group. Rainbow Fun have an incredible range of eco toys and crafts starting from newborn age up until the teenage age group. Some conscious kids gift ideas include puzzles, mini games, and sand box toys. This place is a great spot to start your conscious gifts for kids search. Knock on Wood Toys have a small but wonderful range of wooden eco-toys that cater for newborns to eights year olds and up. The majority of toys on offer are building block style toys but they also feature some more unique toys like the Tegu Pocket Pouch Prism set – magnetic wooden blocks that come in a neat little travel pouch. We bought these for our own daughter, and love them (maybe more than she does). Honeybee feature an extensive collection of conscious gifts for kids, especially eco toys made from sustainable wood. Building blocks and puzzles seem to be a regular feature of this category across most stores, as are Ostheimer wooden toys (there are hundreds! ), but some other fun gift ideas include wobbel boards, a large Glockenspiel, and silk sword.